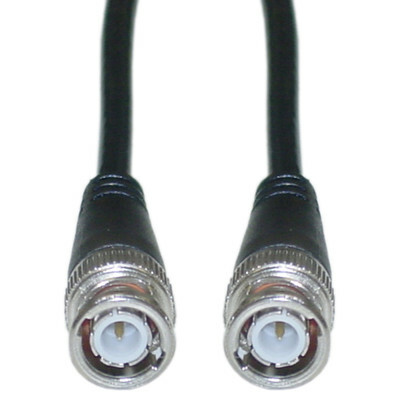 This 100 foot black BNC cable is primarily used for connecting up Ethernet Coaxial networks and features a stranded copper center conductor and fully molded nickel connectors for superior signal retention. Easy ordering and came well packaged. This cable is flexible, perfect for applications where an antenna cable might be exposed to a significant amount of movement. There's a foil shield in addition to the braided shielding. Good. As expected. No Problems.